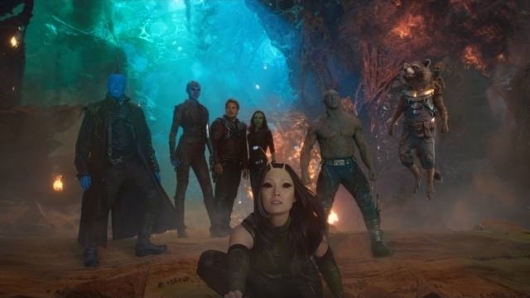 The letter, signed by stars Chris Pratt, Zoe Saldana, Dave Bautista, Karen Gillan, Bradley Cooper, Sean Gunn, Vin Diesel, Michael Rooker, and Pom Klementieff, was posted to Chris Pratt’s official social media accounts, where he also shared a small blurb about not condoning Gunn’s original tweets while also putting in words of support and a request that he be reinstated. Here’s the full statement just in case you cannot read the embed. It is our hope that what has transpired can serve as an example for all of us to realize the enormous responsibility we have to ourselves and to each other regarding the use of our written words when we etch them in digitial stone; that we as a society may learn from this experience and in the future will think twice before we decide what we want to express; and in so learning perhaps can harness this capability to help and heal instead of hurting each other. Than you taking the time to read our words. Gunn was fired by Disney after an ultra conservative personality unearthed decade-old tweets in which James Gunn was joking about pedophilia. While these tweets are abhorrent, Gunn has apologized for them previously when other outlets have asked him about it, and he apologized for them once more after he was fired. However, this new letter of support is the first time that the cast have spoken out together against Gunn’s firing. It follows those aforementioned tweets as well as a petition that has gotten over 300,000 signatures to have Gunn return. While it has been over a week since Gunn’s firing, it should be noted that Disney and Marvel have not shared a shortlist of any possible directors to replace the director, whose style was what gave Vol. 1 and Vol. 2 — both box office hits for the studio — its uniqueness. Perhaps it may be too early or they may be playing it very close to the vest. But some believe that it may be a sign that Gunn could be reinstated, this according to a report from Variety. I for one do not agree with the decision to fire him, but fully understand that Disney had to make the move in order to protect their brand and not be seen as hypocrites. Still, I wished they had not overreacted or jumped the gun on the decision given the age of these tweets and that they knew about them before hiring him for the first movie. But the amount of support Gunn has gotten not only from within his own friends and family, but from the Marvel fan community shows that he deserves a second chance. We’ll keep you posted if anything changes.